Let’s Hear it for Grandpa – Joyce's mystery and fiction book reviews with some non-fiction too! 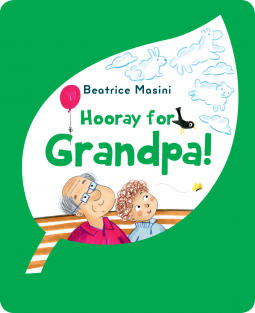 The latest entry in the delightful Hooray for series is Hooray for Grandpa. This one is so charming with illustrations that are very appealing and engaging. The story of a child and their grandfather that shows the value of feeling/being listened to. There is humor as well since Grandpa has selective hearing when it comes to Grandma. There are activities at the end of the story that encourage a child to think about his/her family. Highly recommended and fun!